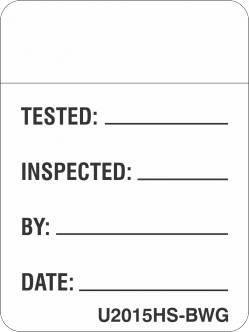 Uticom’s Grounds test labels feature a unique self-over-laminating “tail,” that protects critical handwritten information from moisture, abrasion and chemicals. 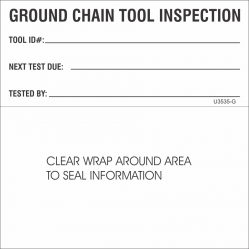 Grounds test labels can be custom printed to meet the specific requirements of a utility. 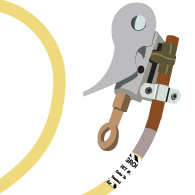 Click on the “Request real-time design” link at the top of this page to custom design a hot Stick label. Use UtiClean to properly clean and prepare any surface before applying a label. To place an order, contact your local representative.